This spectacular home in Dorado Beach East is a great opportunity for you to join this exclusive community and enjoy a truly resort-style living experience. 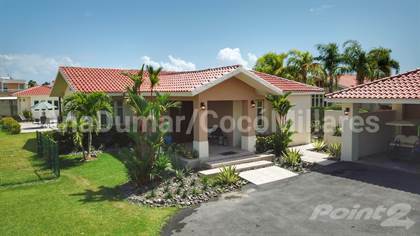 This Casona Carbia offers you 5 bedrooms, 5 baths, living, formal dining, cutting-edge fully loaded kitchen with ss appliances that include refrigerator, stove, oven, microwave, breakfast nook and more, laundry room with washer and dryer, family room, a charming and convenient mud room, double garage, garage for golf cart, sparkling pool and terrace. Fully air-conditioned, also includes electric generator and cistern. This property is in excellent condition, ready for you to move in. Call me for an appointment. Hi, I'd like to find out more information about Dorado Beach East Spectacular 5 Bedroom Casona Carbia with Pool. Thanks so much!